QBIC Bus Parking Calendar – Browse and book parking spaces for coaches in South Brisbane. This facility aims to provide Accredited Operators in Queensland with access to safe and secure layover coach parking bays in Brisbane’s inner city. Pre-booking of a parking bay is essential prior to entering the facility (no exceptions). 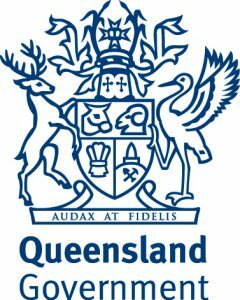 It is an initiative of the Queensland Bus Industry Council and the Department of Transport and Main Roads. Users must agree to certain terms and conditions governing use of this website and available parking bays. Download a copy of the Parking Facility Site Map to provide to the Coach Driver. Select your desired date, booking start time and number of consecutive hours required in the “SEARCH FOR AVAILABLE BAY” panel. Available bays will then appear as options. If no options appear there are no bays available at that date and time. If a bay is available for your selected time, check the Term and Conditions box and agree to the terms. Hit “BOOK”. Check your selected times in a pop-up window that appears. Continue to complete your booking contact details. It is important to complete and bring the Parmalat Site Induction material if required. When completed, click “PROCEED”. A verification email will be sent to your nominated email. Follow the instructions to complete your booking. Check your spam filter if the email doesn’t arrive within a few minutes. You can edit your booking contact details from the “Edit Booking” link at top right. To change your booking times, you will have to CANCEL your booking (button at left) and re-book from Step 1.